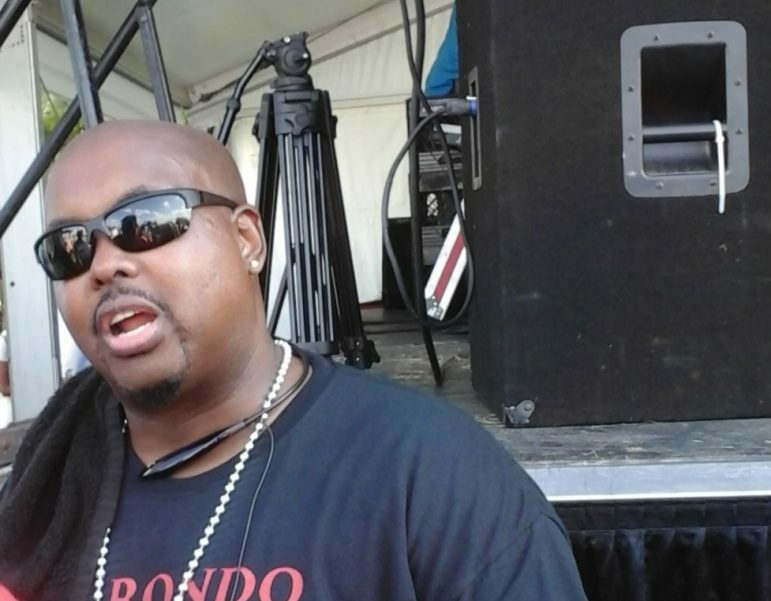 The 33rd annual Rondo Days on Saturday, July 16 included its signature all-day activities this year with something more, as the event happened to coincide with what would have been Philando Castile’s 33rd birthday. He was heavy on the minds of Rondo participants as his family represented him at the event. 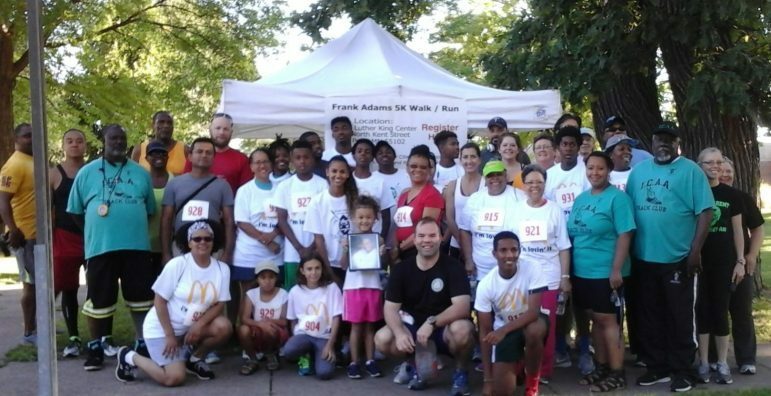 The day’s events started with a 5k walk-run, which drew 39 participants. Adult pairs of mother-and-son participants were seen along with father-daughter pairs. The 5k is put on by the Inner Cities Athletic Association (ICAA, www.icaamn.com), founded by Henry Combs and Frank Adams. Adams passed away in 2014. His daughter Liz now helps run the event with Combs. ICAA had a number of volunteers and groups of teenage boys running together from the organization. While the 5k was ending, the parade started at St. Peter Claver Catholic school on Oxford and Central. St. Paul Central High School’s Band was placed at the front of the parade, along with their cheerleaders, football team, and Principal Mary Mackbee, the Grand Marshal — a gesture to highlight the kickoff of St. Paul Central’s 150th year celebration. Other marching bands came from all over the country. There was a large representation of political candidates including Senator Amy Klobuchar; Monique Giordana, a Republican candidate for district 65A; Ward 1 Council Member Dai Thao; U.S. Rep. Betty McCollum; and, of course, representatives for Hillary Clinton. Greg Ryan was marching in the parade. He is running against McCollum for the 4th Ward. From the stage, sponsors like Metro Transit, St. Paul Public Schools, MN Children’s Museum and many more were thanked for supporting the 2016 Rondo Days event. Metro Transit also provided free bus rides to the event and had a bus roll though the parade. A moment of silence honored Philando Castile, killed by a Falcon Heights policeman just 10 days before on July 6. His family was in the food area giving out free cupcakes and celebrating what would have been his 33rd birthday. 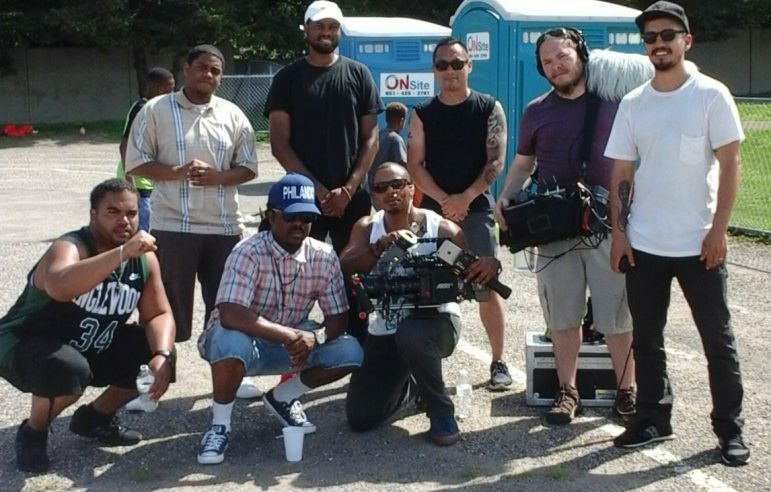 A film crew from Oakland, California was in attendance from Blackout for Human Rights. “We’re filmmakers who make movies, but we’re just out here using our art to make a statement,” said Ephraim Walker, the director. The Happy Birthday Series goes to various communities of civil rights victims like Eric Garner, Oscar Grant, Tamir Rice, Mike Brown and Sandra Bland. It’s funded in part by a group of young filmmakers called Blackout for Human Rights and partially by Even Odd Films out of San Francisco. Even Odd Films has covered stories like that of Oscar Grant, a man murdered by Oakland, California police, which the movie Fruitvale Station is loosely based on. While Blackout for Human Rights has members such as Michael B. Jordan, Ava DuVernay, Jesse Williams, Nate Parker, David Oyelowo, Ryan Coogler, and many more celebrities, their bigger roster is made up of average citizens. 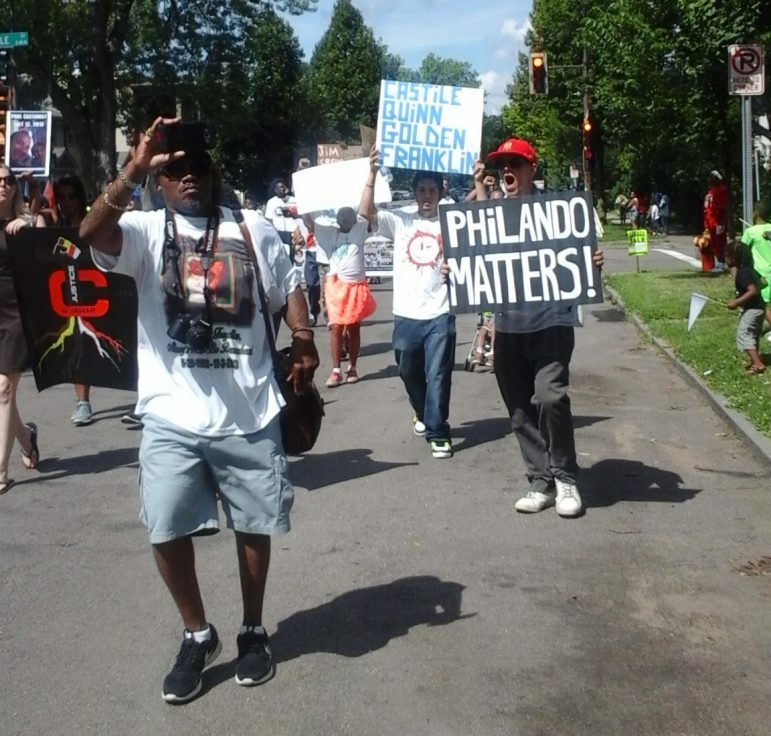 The film on Philando Castile is scheduled for release by August 1, 2016. Once the music started, the stage was lit with Minnesota acts. DJ’s from KMOJ radio kept the stage bumping along with the stage hosts Ms. Margaret from Frogtown Community’s WFNU radio and Leviticus, who started the dance group Immoral led by Mike Dream. 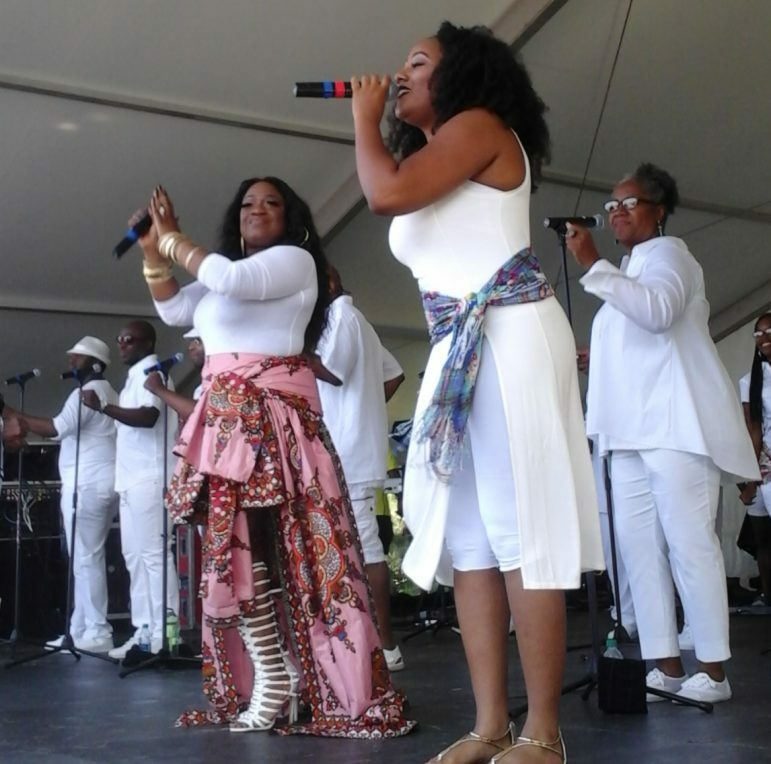 Other performers included Raji.The.One, Anjanie Da Artist, and the Grammy-winning Sounds of Blackness, who drew the largest crowd singing their hits along with jazz renditions of songs. They started out with their new single “Royalty,” originally performed featuring students from the High School for Recording Arts (HSRA). One of the vendors at Rondo Days was Melissa Livingston, owner of Major Body Fitness, located at 560 Como Avenue. Her booth included exercise bikes. Vendors taught kids about healthy foods and arts and crafts. The MN National Guard offered sporting activities with footballs and basketballs. Many food vendors sold out by the end of the event, but one vendor sold out of wings early. Ronald Charles Buford has been involved with Rondo Days for the past 20 years as a vendor, board member, and since 2014, president. When asked why this year was better than past events, Buford said of the previous years, “Improper planning. “We worked with a very small board who handled a lot of responsibility, and sometimes when you have too much responsibility you don’t get 100 percent effort or value in the work that’s behind a lot of tasks.” This year is the first that he can remember with the Sounds of Blackness gracing the stage. “We really need help to keep this flowing at a high level,” Buford said. 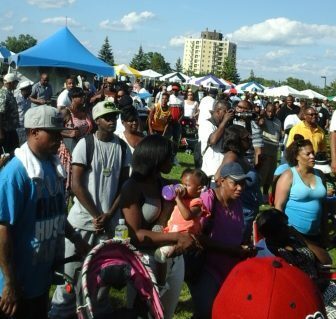 To become a volunteer, vendor or find out about next year’s events, contact Ronald Charles Buford at www.rondoavenueinc.org. For more information on the Philando Castile film, contact Walker at ephraimwalker@gmail.com, or go to the websites www.blackoutforhumanrights.com or www.evenoddfilms.com. Jonika Stowes welcomes reader response to jonikastowes@gmail.com. Correction: A previous version of this article mistakenly listed the grand marshal and the order of the marching bands in the parade. The information has been corrected. The day’s events started with a 5k walk-run. I think this Rondo Days was awesome. I go every year but there was a true since of togetherness last Saturday. People were looking to ecourage each other vs criticize; they wanted to support vs being judgmental. How can we magnify this way of life across St.Paul on an everyday bases. It is in us and present but all that we see in the news is the negative. When I watched other news stations report on Rondo days the showed people having fun and enjoying the festivities but their interviews were not of people of color. Their pictures were not truly reflective of the crowd that comes out to celebrate nor the vendors that come and represent. Thanks Spokesman Recorder for showing our unity in the community.